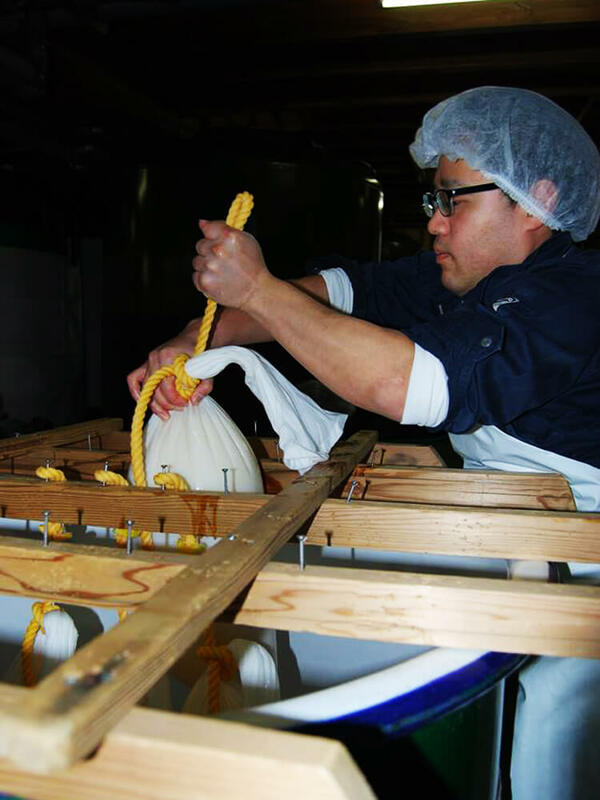 30 years to grow brewery rice, 150 years to brew sake! 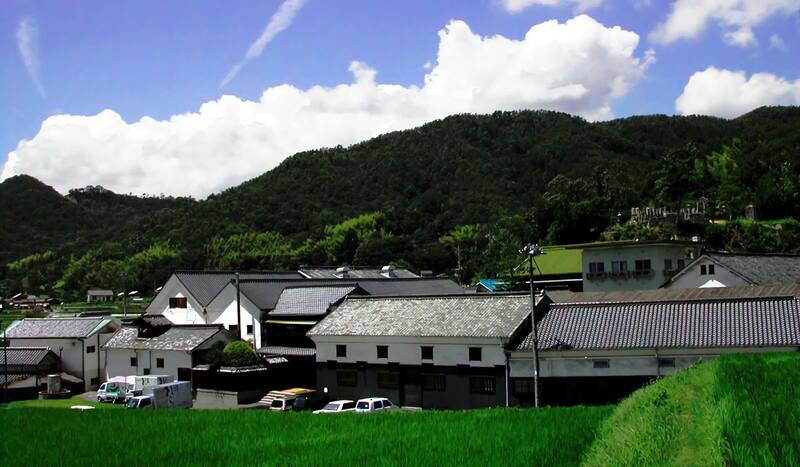 We have been brewing sake for more than 150 years after 1 generation Kanomatsu established a brewery. When we established, this area was called Shimizu means springs beautiful water. Behind the brewery, there is Chikurinji moutain which foot is designated as nature reserve. We benefit from this wild nature and brew sake with using those rich and natural ingredients. 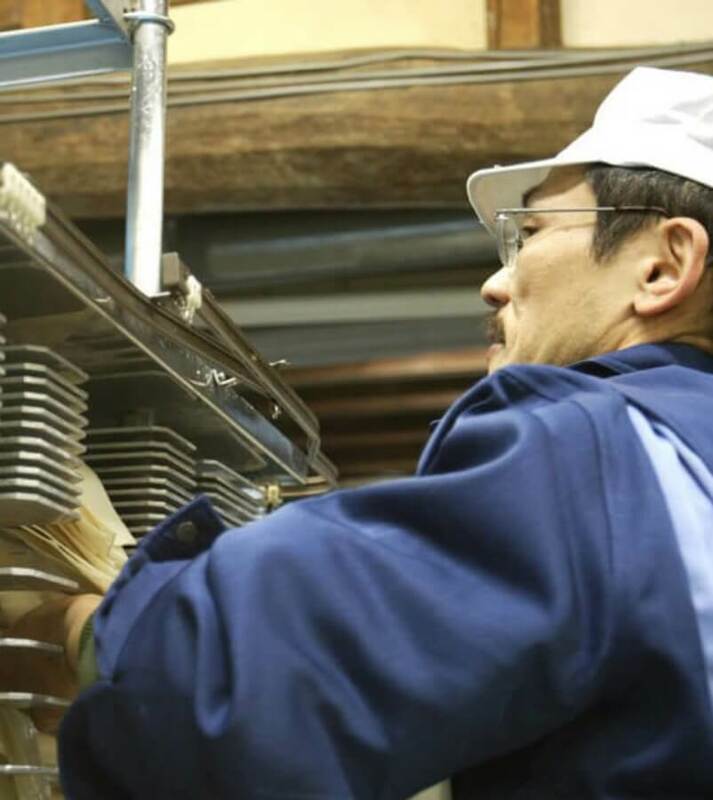 We take brewery rice as the most important ingredient for brewing. We bought some rice from local farmers before. The apprearance looked always similar, however the component of rice was different by its producing year and area. If the feature of brewery rice doesn’t fit the local environment, it is impossible to bring the potential out, even though we use the highest quality of brewery rice. 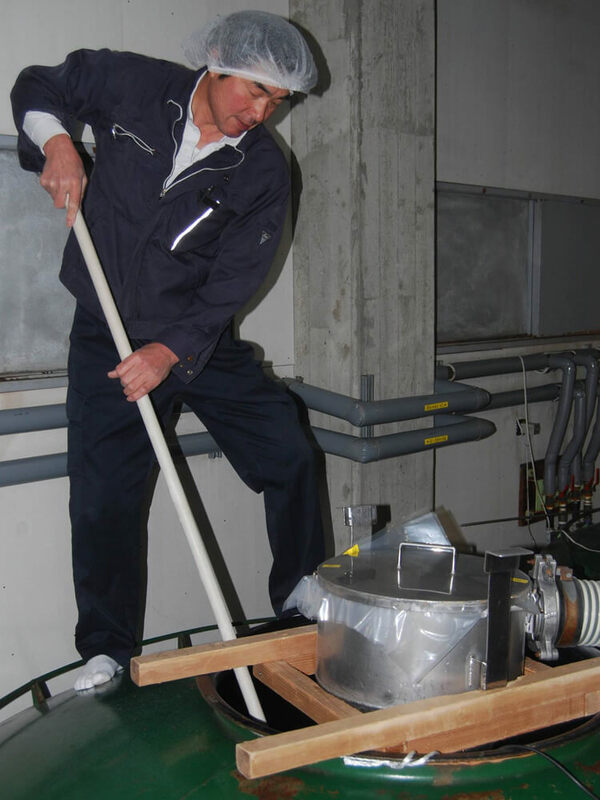 We produce brewery rice by ourselves. It is not common in Japan, however it’s still natural for us to persue our ideal taste. 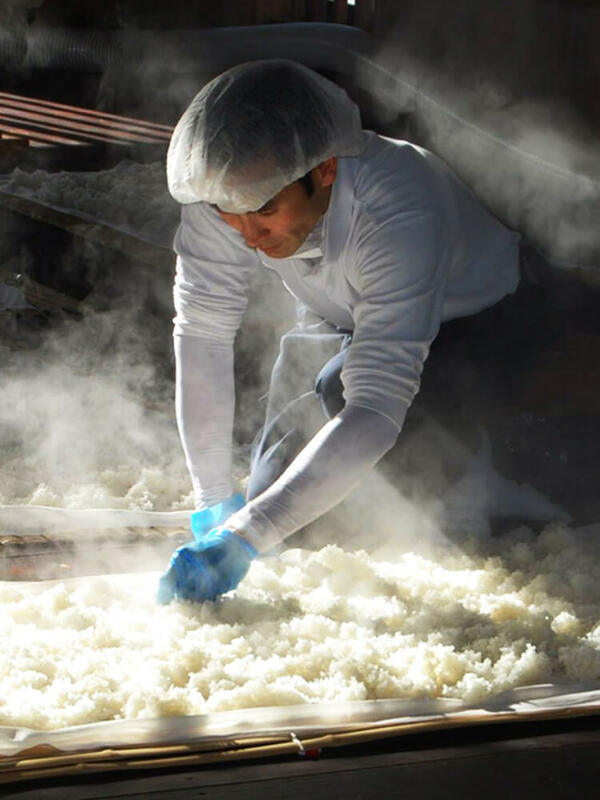 Sake people naturally cotton to is our ideal taste. We will commit its cleaness and smoothness. We differentiate ourselves by self-growing rice. In the final analysis, brewing comes to the quality of ingredients. It is impossible to know the growing process of rice and its component in advance. With this issue, we have to optimize brewing based on the real quality which we don't know before buying it. We belive growing rice by ourselves is very natural and reasonable attitude. There are 11 wells in this brewery, however the quality of water from only 2 wells meets our required level. Water is another most important ingredients. We will not bend our commitment in the quality of water. Never stop studying and Keep brewery clean is our motto. Based on inherited traditional skill, we have to pile this generation's essence. Without this, we are not able to be competitive. That is why we never stop studying. To keep brewery clean, we won't overlook a grain of rice on the floor. The greatest feature of us is growing rice by ourselves. To pursue the ideal taste, growing rice is very natural attitude. There is another merit to grow rice. We can understand the local climate more deeply. Sake brewing is the co-creation between human and nature. 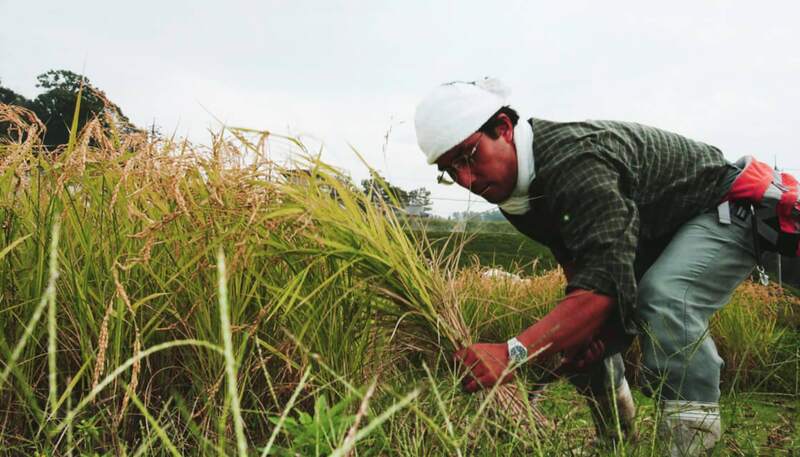 Through taking care of growth of rice, our young brewers grasp what really brewing is.